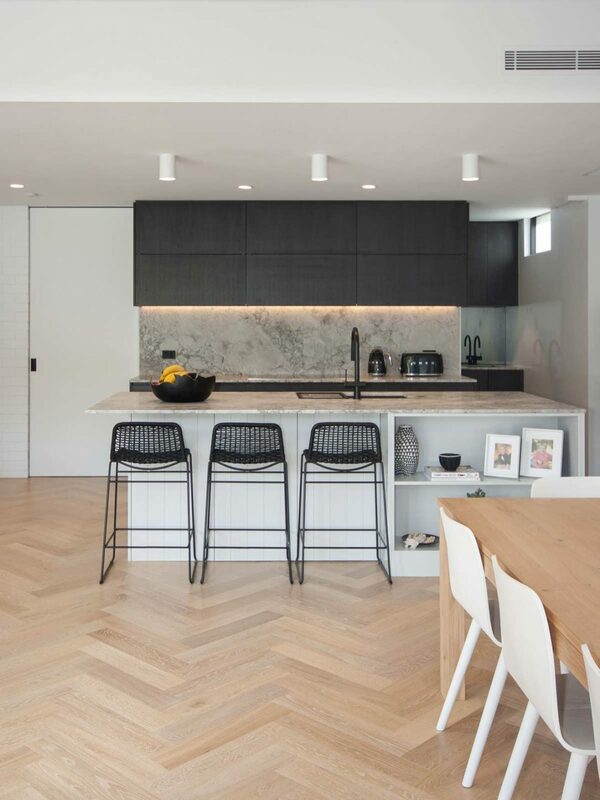 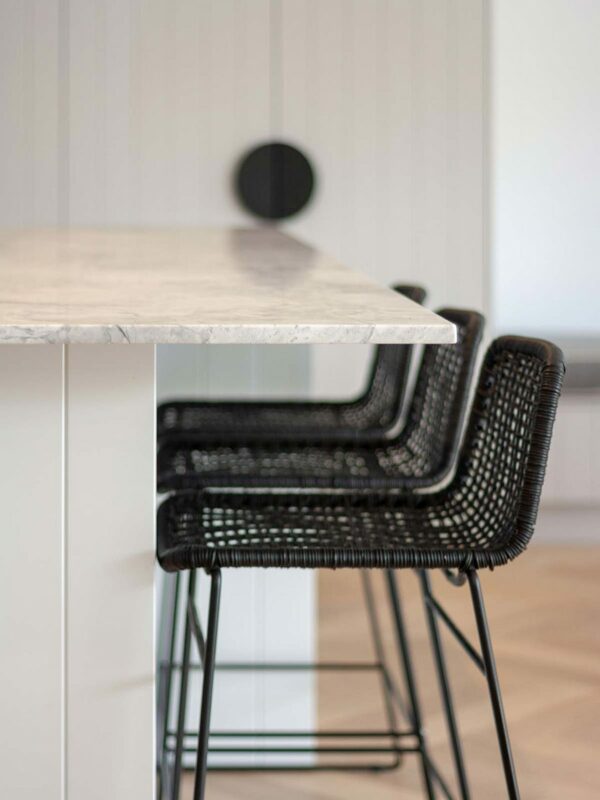 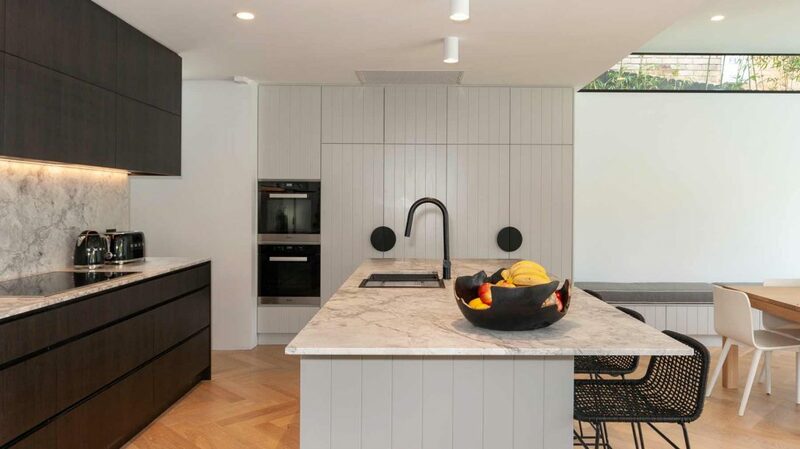 Previously very old and dilapitated, the owners of this Mosman property decided on a full renovation, including a large extension at the back where this lovely kitchen is located. 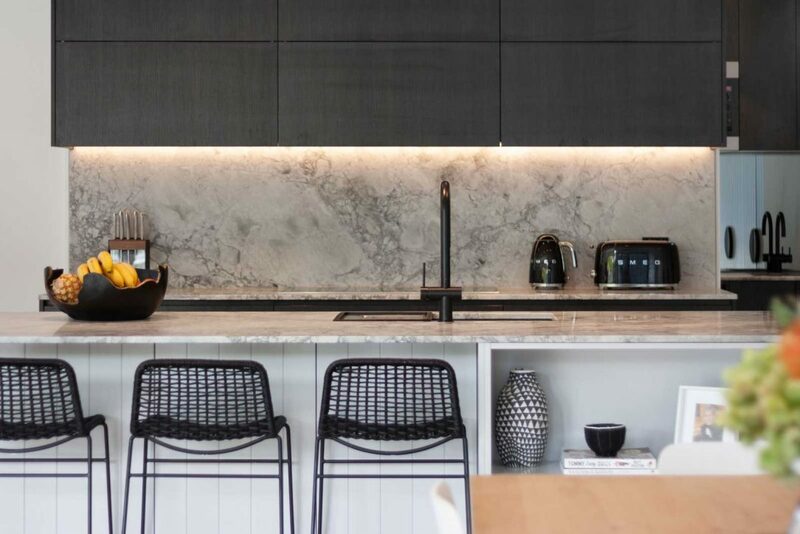 Opting for modern cabinetry that’s a little bit different to the standard white kitchen, the owners chose a mixture of different finishes and colours to combine in the palette. 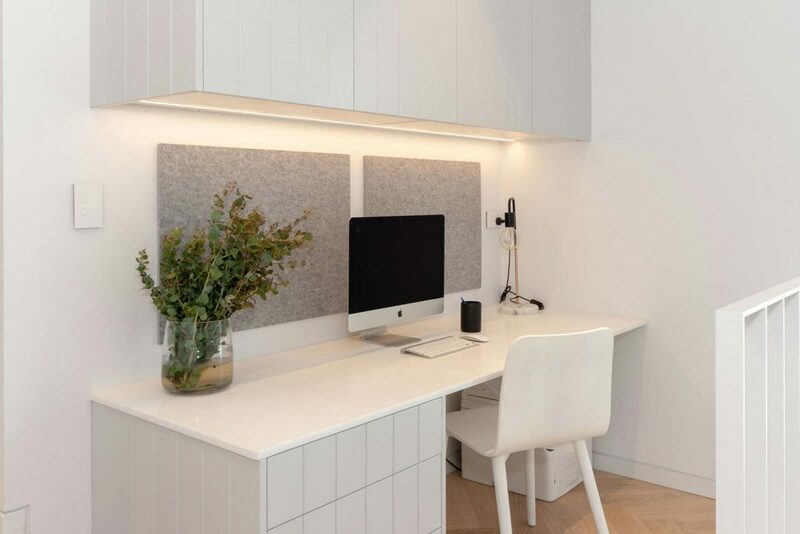 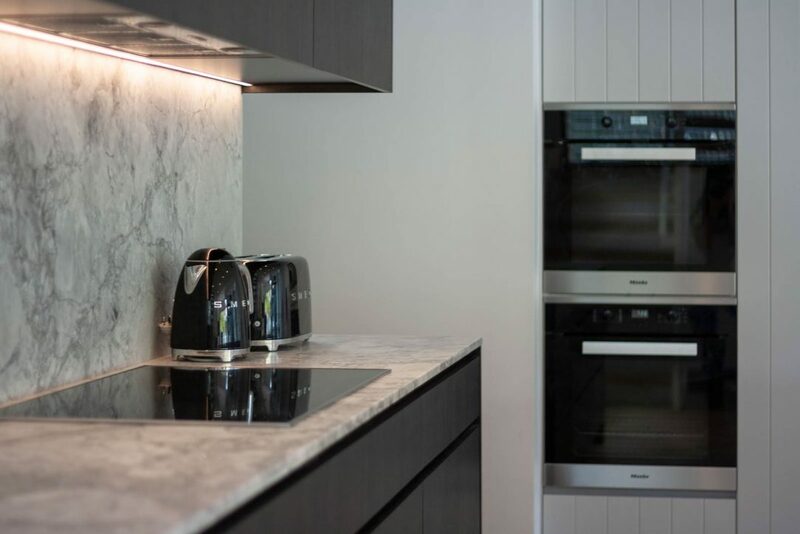 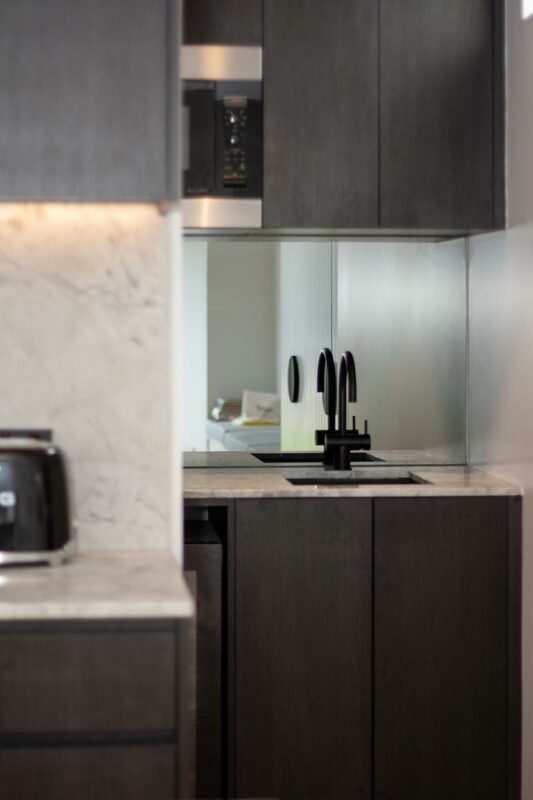 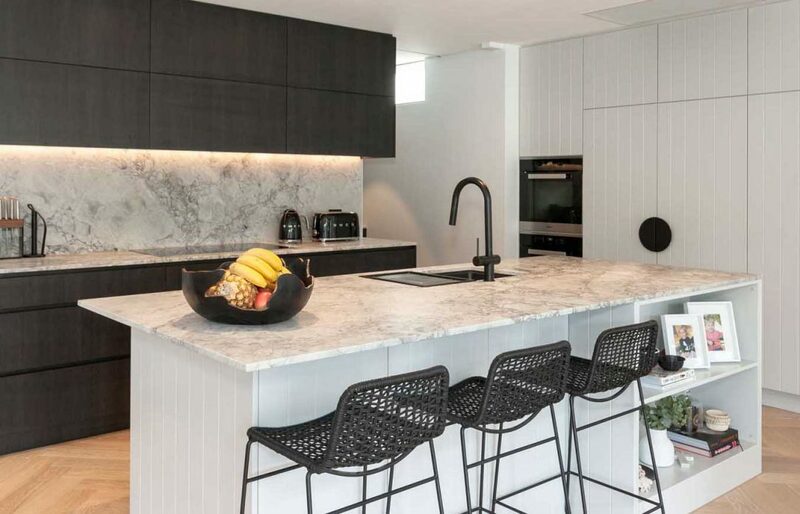 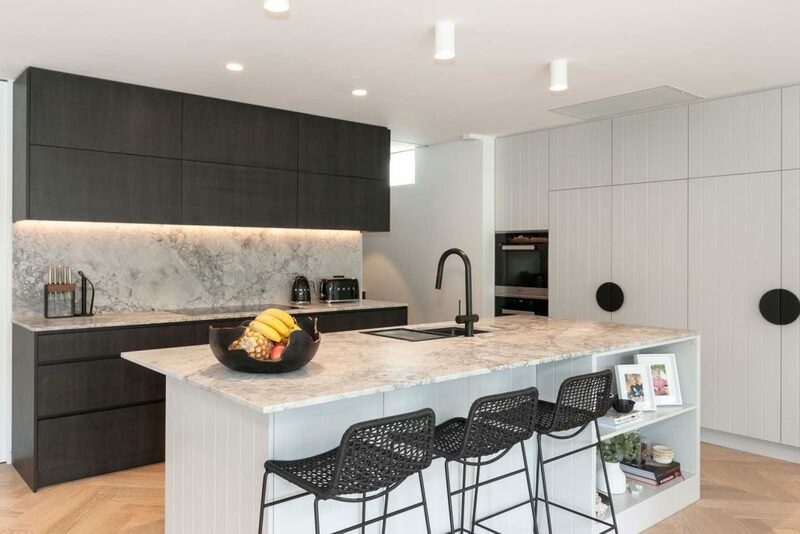 The latest V-groove style polyurethane panels in light grey contrast nicely with the darker grey and the gorgeous superwhite granite benchtop and splashback brings the whole look together perfectly. 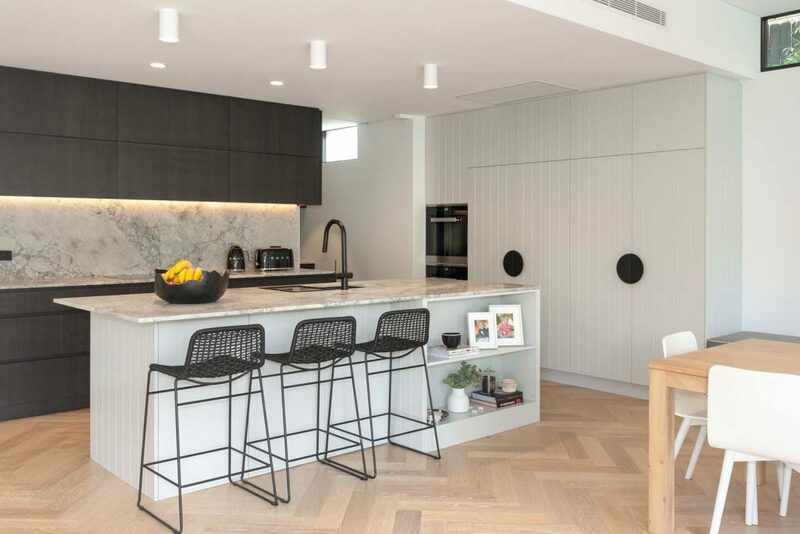 Another great use of space was the addition of a butlers pantry to keep messy cooking away from the main kitchen and custom built banquet seating to suit a long dining table, with storage underneath. 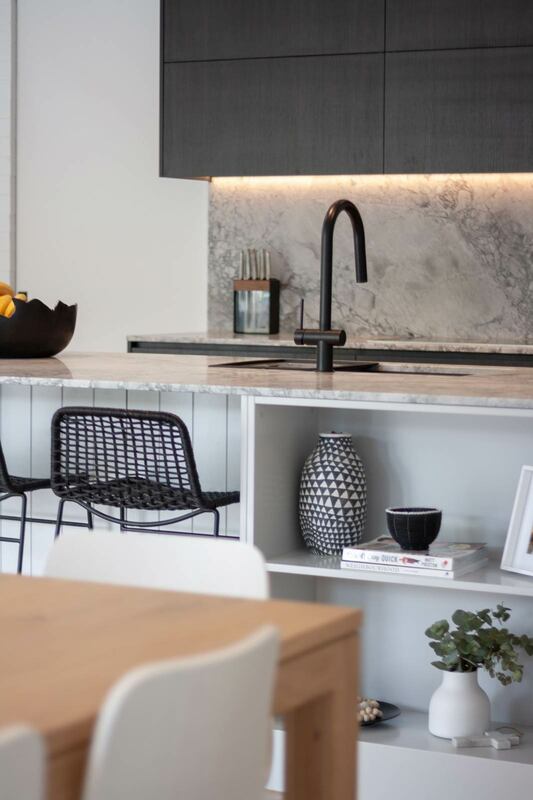 Altogether a highly functional kitchen design with plenty of extra storage to suit a growing family. 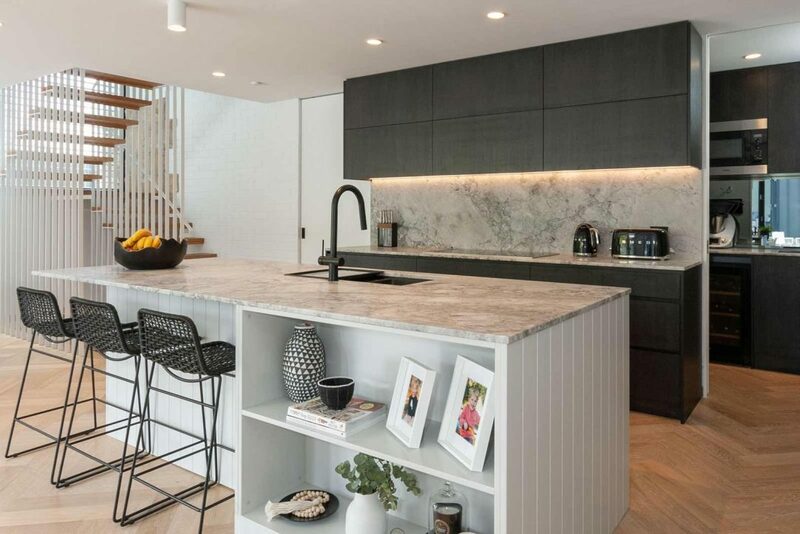 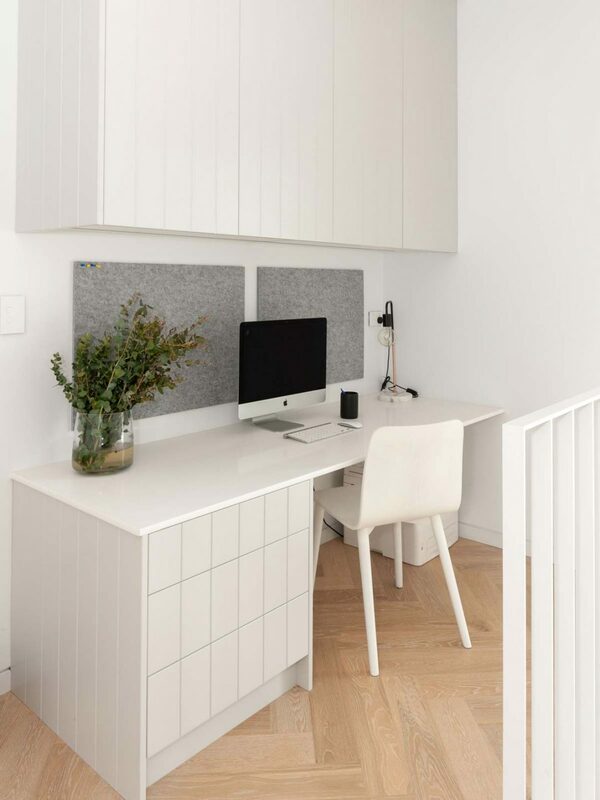 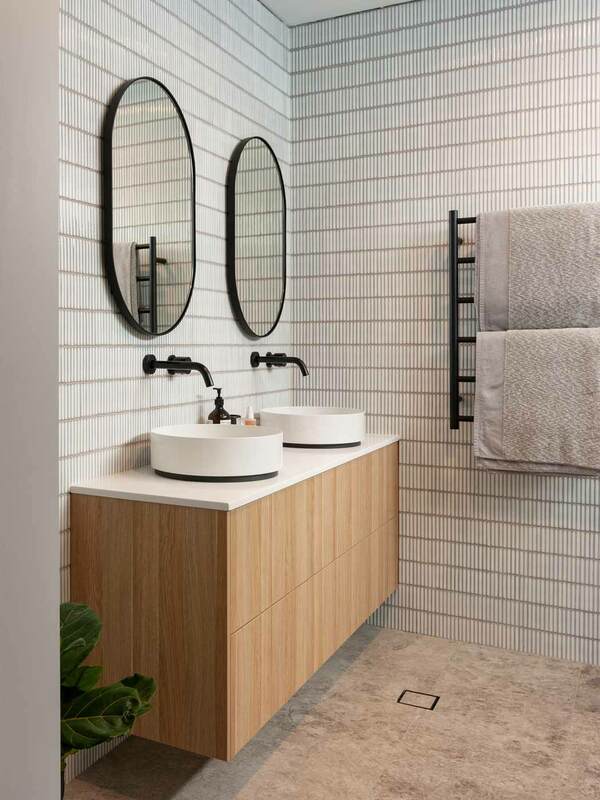 Other joinery included was a large custom built laundry & study desk in the same finishes as the kitchen, two bathroom vanities and a walk-in robe in the main bedroom.